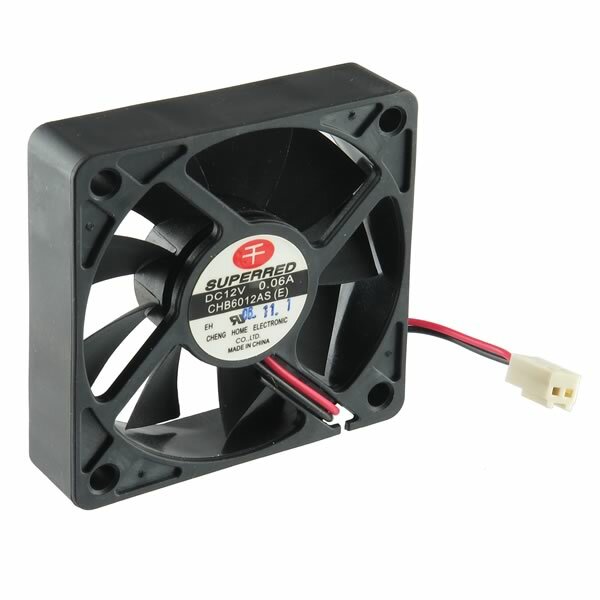 Superred Ultrasilent CHB6012AS 60mm fan operates from 12VDC @ 0.06Amp. Size is 60mm square x 15mm thick. Has color coded leads with 2 slot female header connector on end. Brand new - retails for $19.98.